Content is great for turning awareness into action, but getting consumers to engage and convert is never easy. That’s why it’s important to develop a strategic content plan that outlines how you can deliver quality content to the right person in the right place at the right time. 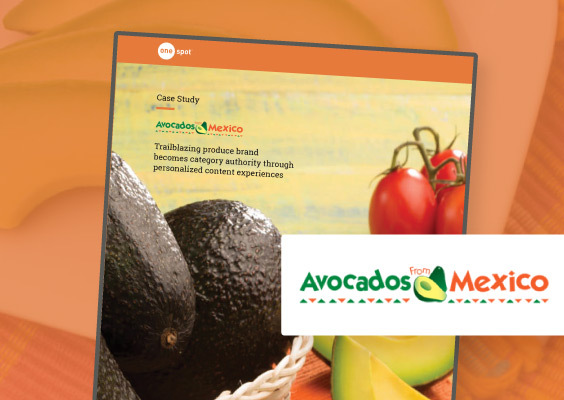 Watch the webinar on-demand as OneSpot and Contently explore how Avocados From Mexico used personas and personalization to increase site traffic and user engagement. OneSpot is a technology platform for personalizing content marketing across digital channels. The company’s machine learning based Content Sequencing® engine helps the world’s best brands use their content marketing to create one-to-one, personally relevant digital experiences across website, email and paid media.